June 25, 2016 By JRL, Esq. This is part two of my post about the importance of life insurance and how it can be used in estate planning. Part one briefly discussed the types of policies, mitigating taxes, and how life insurance is used for income replacement. This post will look at how business partners can use life insurance and policy ownership. 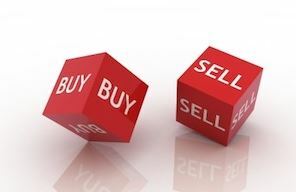 A buy-sell agreement is commonly used by partners of a business to provide for the buy-out of a deceased partner’s share of the business. Life insurance usually is obtained either by the partners or by the company in order to supply the funds needed to fulfill the obligations under the buy-sell agreement. The death proceeds are available to close the deal on the deceased partner’s interest and to enable the surviving partner to focus on running the business. Usually the life insurance policy is owned by the insured, or by a trust when estate taxes are a concern. The policy may also be owned by a business partner or the company if a buy-sell agreement needs to be funded. Sometimes, a client owns a policy insuring the life of another individual, such as a spouse or child. While there is absolutely nothing wrong with these setups, the issue is that the policy owner may pass away before the insured. If that happens, the life insurance policy will be a part of the now deceased policy owner’s estate and what happens to the policy will be determined by their Last Will and Testament. As mentioned in part one of this two-part post, sometimes the transfer of a life policy can trigger a “transfer for value”. If this is the case, insurance proceeds become taxable income to the recipient. A transfer for value can happen if upon the policy owner’s death, the life policy is transferred to any person other than the insured or a partner of the insured. Some people seek to omit the death proceeds from their estate (thereby escaping the estate tax) by placing ownership of the life insurance policy in the name of the client’s child or children. While there is nothing inherently wrong with this setup, there is always the risk that the child will experience a personal bankruptcy or divorce. 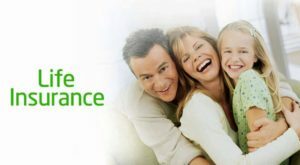 Since the life insurance policy owned by the child, it is his or her asset and a creditor, whether a lender or a divorcing spouse, may go after it. Life insurance may be an integral part of your estate planning strategy. Its uses and functions will certainly differ based upon a client’s circumstances. Each client, consulting with their financial and legal advisors should be certain to understand the uses and purposes of the life insurance being purchased in addition to the type of insurance policy being acquired.